As of yesterdays announcement, Microsoft has officially announced that Lync 2013 and Skype now integrated and enabled for IM, Presence and Voice. Great news!! To enable the integration between the technologies of Lync and Skype, there are a number of Prerequisites that need to be actioned. To find out what needs to take place, go to this blog posting by Justin Morris (Modality Systems, Senior Consultant) who has created a guide to the enablement of the Functionality. 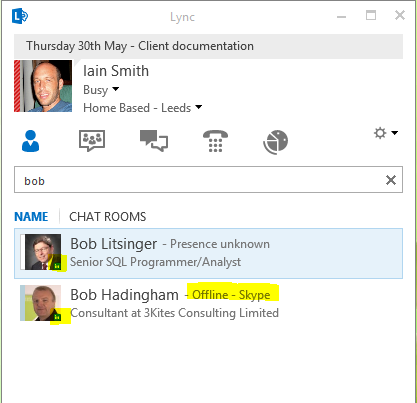 Once you have completed the steps, and your Lync estate is enabled and working with Skype there is a couple of nice features which you can retrospect enable as well. For this blog posting in going to look at the integration with LinkedIn. 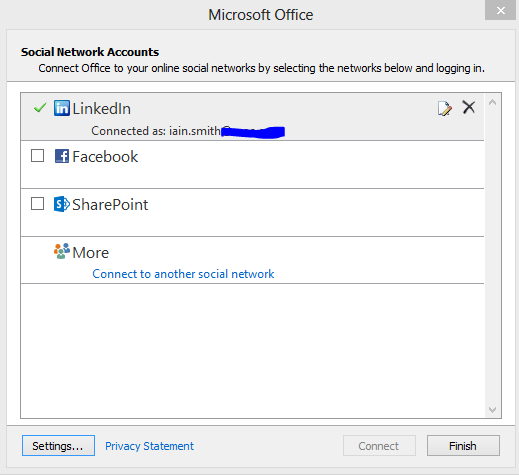 To enable LinkedIn to be part of your office suite, this is a very trivial task which you can complete by selecting the option within your Outlook Client (Version dependant). Simply go to File, then the Accounts option in Outlook and select from the dropdown option of ‘social connector’. This will then present you with a number of social forums to which you can enable and integrate with outlook and by proxy your Lync 2013 client. For me im going to select LinkedIn Only. Once you’ve completed the login process for the Social Connector, at this point in Outlook whenever someone external to your organisation emails you and their email address is associated with their LinkedIn Email address you will get there picture and awareness its from LinkedIn within the email content. So all this is well and good but what does the Lync 2013 Client, Skype AND LinkedIn capability provide.?? Well if one of your LinkedIn contacts has their email address of their LinkedIn profile equal to their Skype Account email address (keep with me), you can simple search from within the Lync 2013 client to find them. (You don’t have to have these set as buddies in your Lync contact list. You simply search). Example: In LinkedIn my associated email address is Iain.smith@northernlync.co.uk and within Skype my associated email address Iain.smith@northernlync.co.uk meaning we match. 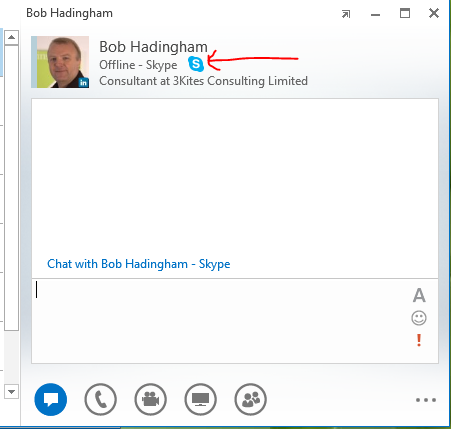 So in my real life example, I have two people connected within LinkedIn called ‘Bob’ as you can see both Bobs are being pulled from my LinkedIn contacts and Bob Hadingham in this example has his LinkedIn email set equal to his Skype email address therefore with the powers of the Lync, Skype and LinkedIn interaction I can select Bob Hadingham and IM, see his presence, tag him for online status and Audio call him like you would any other user of Lync beit like you would a internal or federated contact. 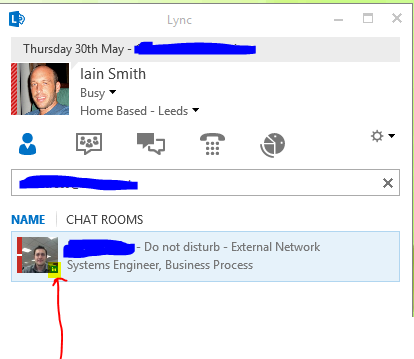 I think this is a really neat feature and one I personally wasn’t expecting within the Skype integration with Lync.! 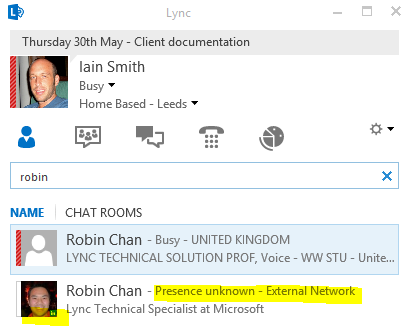 One thing to add though which is a small fly in the ointment is within my testing Lync doesn’t seem to check for Skype/LinkedIn integration until you double click the person you’ve searched for. Again in our example Robin Chan of Microsoft is showing his presence as unknown for his LinkedIn contact. Now if I select him by double clicking the contact, Lync will go away and crosscheck his details to see if I can communicate with Robin. 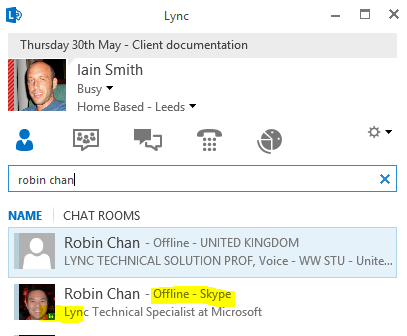 As you can see, Robin does have his email addresses for LinkedIn and Skype matching, but Lync didn’t make me aware until I selected Robin. 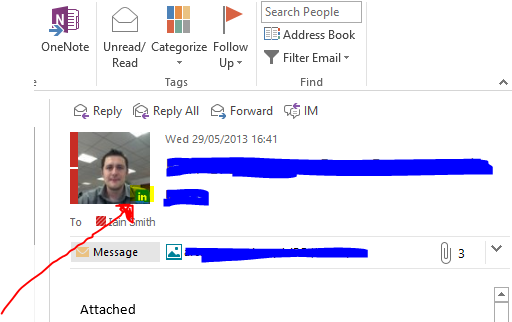 Bit of a shame, but I expect this will be addressed in a near future CU update for Lync. 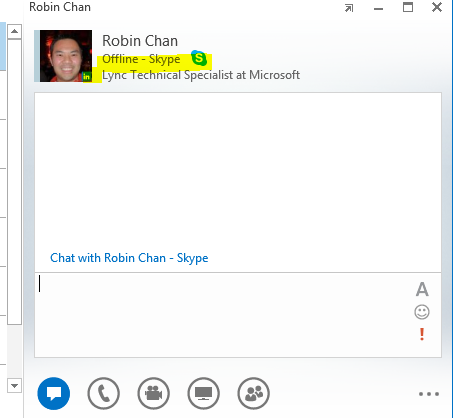 Now ive select Robin and close the Lync IM page and research for him Lync will now display the contact correctly. So all in all, im pleased with the initial Lync. Skype and LinkedIn connectivity. 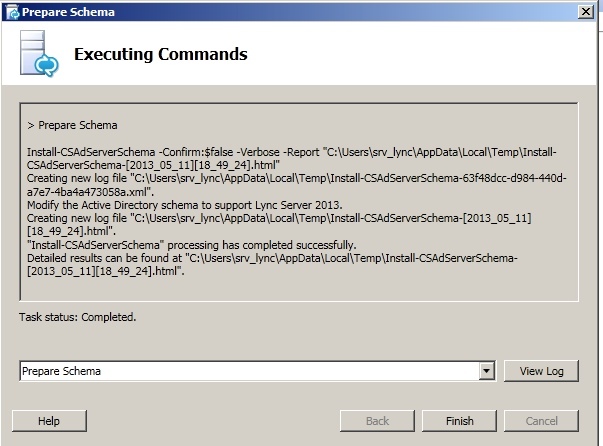 This post relates to the installation of Lync 2013 into a domain where theres multiple child domains associated. The blog posting goes through the schema, forest, domain preparation steps as these are different when implementing into a child domain. Following the ‘step 1’ preparation steps the remaining installation steps are the normal steps which you can find in one of my other blog posts. In this lab scenario i will be preparation my child domain (named Child1) for Lync 2013, along with child1 i also have a overarching root domain and another child domain called child2. 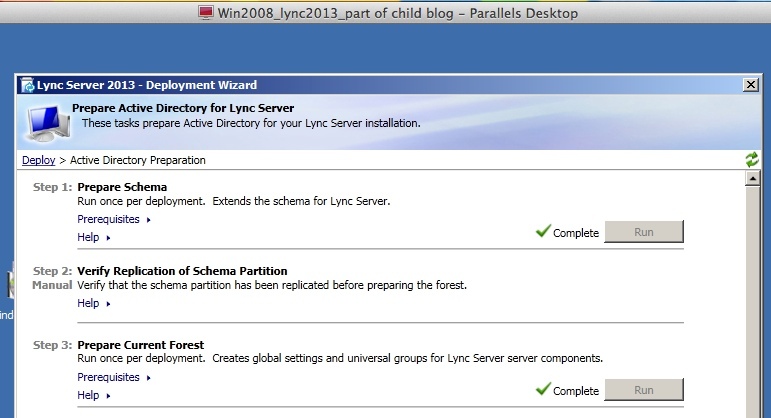 In the scenario in child2 i have Lync 2010 installed. Its also worth noting that in this scenario users of Lync 2010 arent required to have access to the Lync 2013 deployment.By this i mean both child domains dont require the ability to share the user contacts in AD. ok lets start by a root domain screen shot. 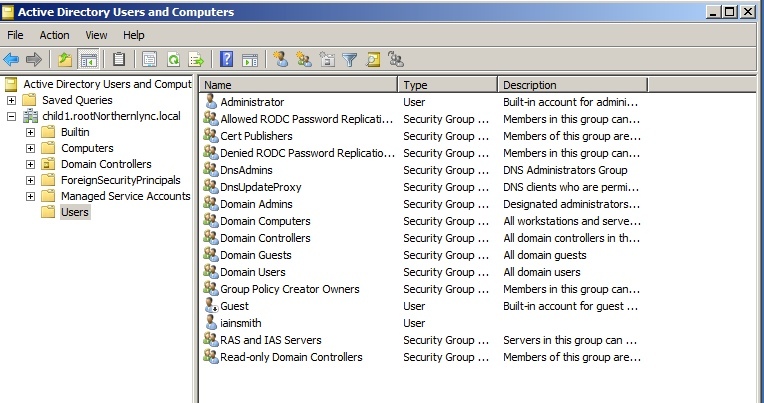 This shows something of importance.. As you can see i already have the member groups within the root domain from my Lync 2010 deployment in the child2 child domain. So the first question then? 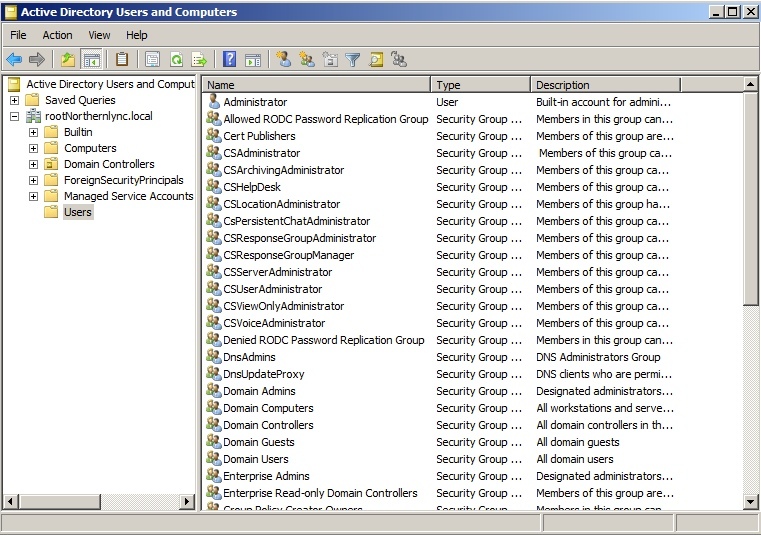 why are the member groups in the root domain and not in the child2 domain where Lync 2010 is installed.?? Simply put Lync shares the member groups across all domains therefore its an installation requirement for these to be prepared in the top level root of your domain and not the child. 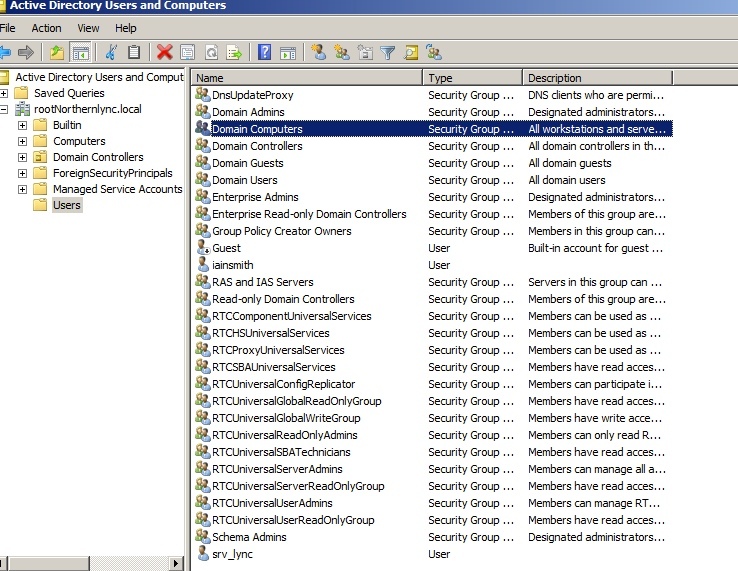 (further into this lab i will attempt to install the member groups into the child domain so that you can see the error relating to do this) PLUS how to properly install these member group attributes without issues. Its worth nothing i stupidly named my Lync2013 machine in the VM build child1. so as you can see i have child1 in the child1.rootnothernlync.local domain. 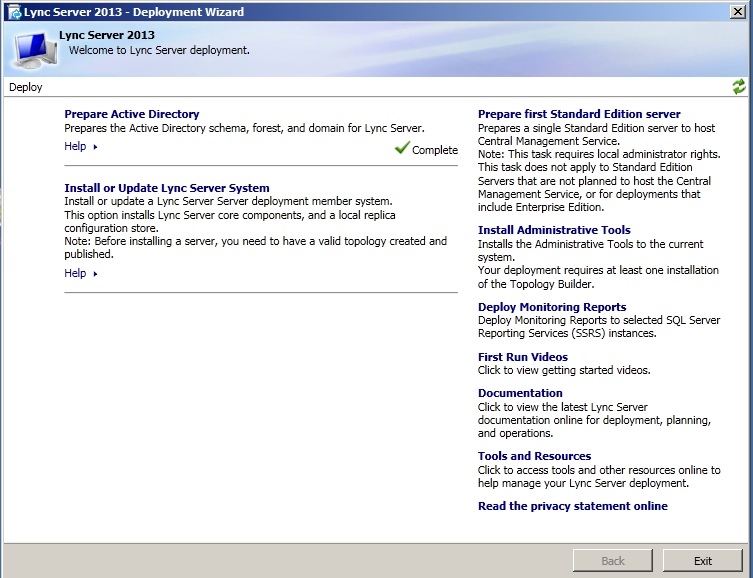 Now lets run in the Lync 2013 deployment wizard. (of course at this stage you need .net4.5 and Powershell 3.0 (Restart required) if you are installing into a windows2008r2 server link in my lab. ***Dependant on how big your organisation is, the schema prep can take a far few minutes to complete. 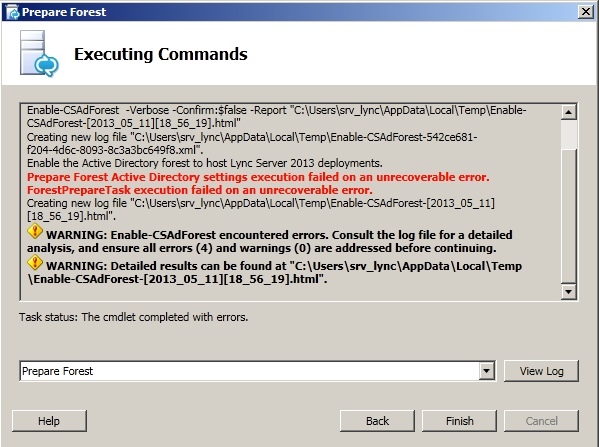 Firstly im going to just select run and leave the option for the local domain to show you the error message it throws. plus this will give you an idea on what you need to do next. See the error.?? not really any idea what the issue is do we? Hopefully the log file will tell us more. so to fix this is.. firstly if you have access to a machine on the root domain and you want to go through the pain of installing the Lync 2013 deployment wizard then you could run the preparation steps on that machine. For this lab we are going to powershell the command into the root from our child1 domain. you will not get any confirmation that its completed with the -verbose on the end of your command. 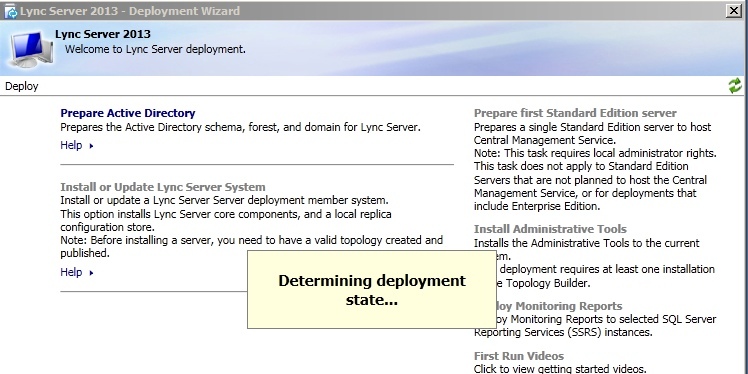 Anyhow lets jump back to the deployment wizard now and see what the status now says? So lets continue on with the wizard for step5.Note: this will just run without any special powershell command etc. Once this complete, jump back the main wizard window. As you can see our preparation steps are now complete, and we can continue on with a Standard or Enterprise deployment. Last step below is the screenshot of the root member groups now we have run in the 2013 prereqs. As you can see the new 2013 CS member groups are there.. I hope this blog post has helped some of you out there.